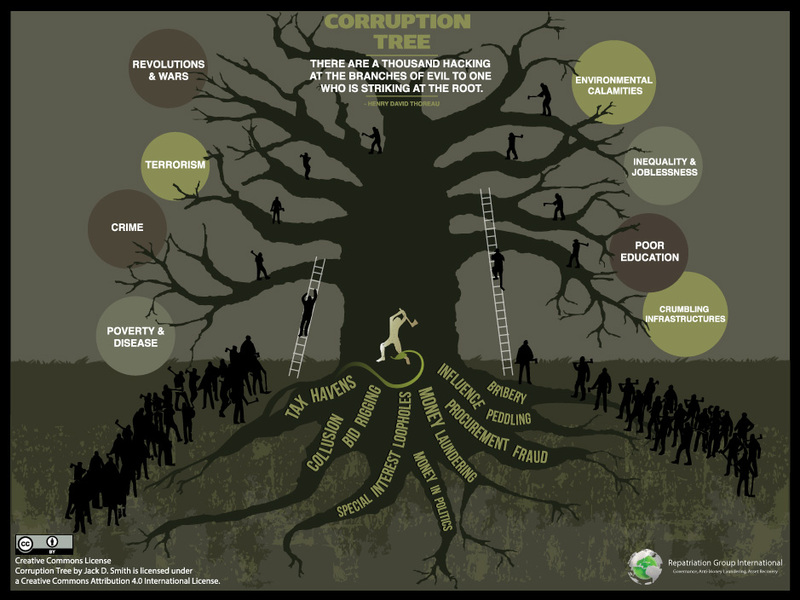 This artwork illustrates that corruption is the root cause for evils in society. This is the original artwork published under the creative commons license. You may download and distribute (without altering the original image).